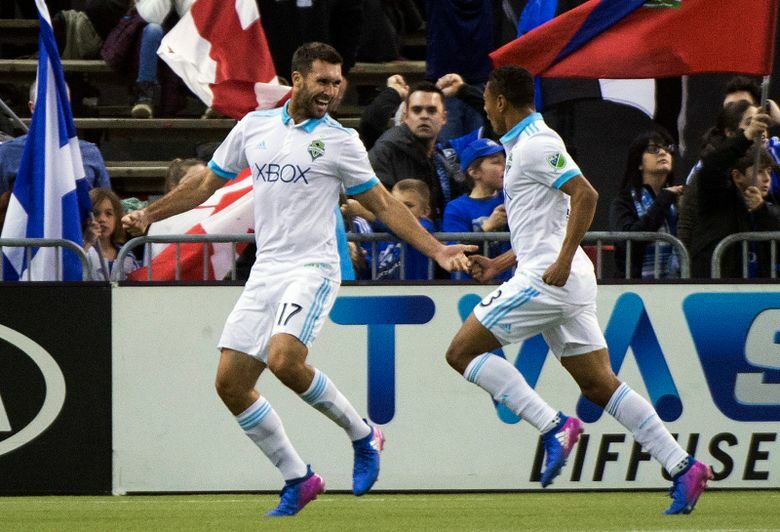 With several regulars away, including Clint Dempsey, who notched a hat-trick in last night’s 6-0 win by the U.S. Men’s National Team over Honduras, the Sounders will give extended looks Saturday night to a bunch of non-starters. This “friendly” against the Mexican side Club Necaxa allows the Sounders to start Will Bruin up top in place of Jordan Morris, who is with Dempsey on the USMNT. Beyond that, Alvaro Fernandez gets another look on the left wing after being bumped from his starting spot the past two weeks by Harry Shipp. For more on Shipp, check out the feature in Saturday’s paper about how his life is now sizzling both on and off the field. Shipp starts in Dempsey’s spot while Shoreline native Henry Wingo flanks him on the right side. As expected earlier this week, Gustav Svensson and Tony Alfaro are the starting center backs, while Cameroonian Nouhou Tolo gets the nod at left back and Jordy Delem is at right back. Tyler Miller gets the start in goal so Stefan Frei can rest alongside defender Chad Marshall, both of which were in January USMNT camp and had a very limited off-season. Though this is merely an exhibition game, the Sounders will be taking notes given their Champions League appearances scheduled for next year courtesy of their MLS Cup victory. If the Sounders are to advance in Champions League, they’re going to have to defeat Mexcian teams. So, this should offer a good look at the style of play to expect.